"What I can say is that I hold my head high & that I can look myself in the mirror knowing I did what I was required to do and what needed to be done based on principles & values that must always transcend party. I have no regrets. I spoke the truth as I will continue to do. (2/2)"
"Tonight I was expelled from the caucus of the Liberal Party of Canada. Sadly the decision was made without me being provided any opportunity to speak to national caucus. This is profoundly disheartening for me, my staff and my family - and I know people in Markham-Stouffville will also be disappointed. "I was accused publicly by people in caucus of not being loyal, of trying to bring down the Prime Minister, of being politically motivated, and of being motivated by my friendship with Jody Wilson-Raybould. These accusations were coupled with public suggestions that I should be forced out of caucus. "These attacks were based on inaccuracies and falsehoods. I did not initiate the crisis now facing the party or the Prime Minister. Nor did Jody Wilson-Raybould. "Rather than acknowledge the obvious — that a range of individuals had inappropriately attempted to pressure the former Attorney General in relation to a prosecutorial decision — and apologize for what occurred, a decision was made to attempt to deny the obvious — to attack Jody Wilson-Raybould's credibility and attempt to blame her. That approach now appears to be focused on whether Jody Wilson-Raybould should have audiotaped the Clerk instead of the circumstances that prompted Jody Wilson-Raybould to feel compelled to do so. "I was not able to support the recommended response to deny these allegations. My constitutional obligations including Cabinet solidarity and collective responsibility compelled me to resign as a Cabinet member under these circumstances. "This isn't about a lack of loyalty. On the contrary, I recommended that the government acknowledge what happened in order to move forward. This was an expression of loyalty, not disloyalty — in the same way that Jody Wilson-Raybould attempted to protect the Prime Minister from the obvious short-term and long-term consequences of attempts to interfere with prosecutorial independence — but to no avail. "This also isn't about political advantage or strategy. It is frankly absurd to suggest that I would leave one of the most senior portfolios in government for personal advancement or merely out of friendship with Jody Wilson-Raybould. "I have also been criticized for not telling my complete story in Parliament because I would be shielded by Parliamentary immunity. 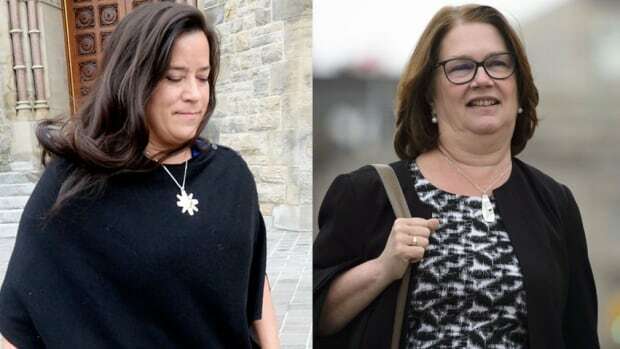 Much of the story has now been told by Jody Wilson-Raybould as a result of the additional information she provided to the Justice Committee. Anything else is covered by Cabinet privilege that has not been waived. It would be irresponsible for me to breach Cabinet privilege simply because I could do so without being prosecuted for the breach. Parliamentary privilege is not designed as a licence for breaching your constitutional and ethical obligations. "Throughout these events, I have continued to support Liberal policies and the commitments we made. As a member of Cabinet, I would have been compelled to support in Question Period and in the media the government's response to the SNC-Lavalin case and speak in support of that response. I could not do this and as a result, I was compelled to resign. I thought there should be scope within the caucus and the party for a range of views on the SNC-Lavalin case including the views I expressed directly to the Prime Minister. Indeed, the need has never been greater for a measured re-evaluation of how the government should respond to this issue. What I have heard from Canadians is that they want to know the truth. "That being said, it appears that the caucus is intent on staying the current course, regardless of its short-term and long-term consequences to the party and to the country, and it has been decided that there is no place for me in the caucus. "I regret that relationships have been so fractured. I have nothing but good wishes for my former Liberal colleagues and all those who commit themselves to public service. "I ran to be a Member of Parliament for the purpose of improving people's lives. Nothing will stop me from continuing in that pursuit. I will continue to proudly represent the people of Markham-Stouffville for the remainder of this term."